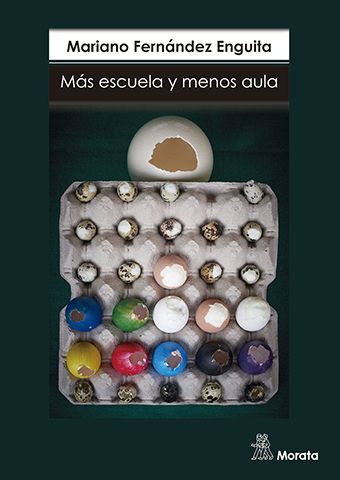 The Monday 19 February at 19:30 h. in Madrid presents the last book of Mariano Fernández Enguita: More school and less classroom. The innovation in the perspective of a change of era, which has published Editions Morata. 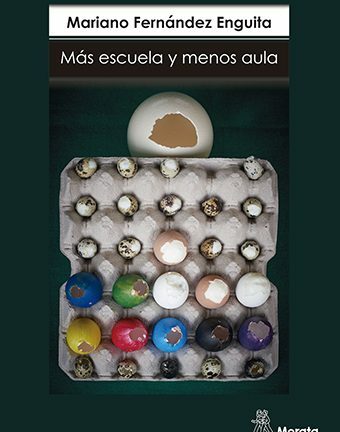 The author will have a dialogue with the journalist Ana Torres Menárguez, responsible of the section Formation of The Country and specialized in educational innovation and, of course, with the audience or connected, in the living room and in the network. 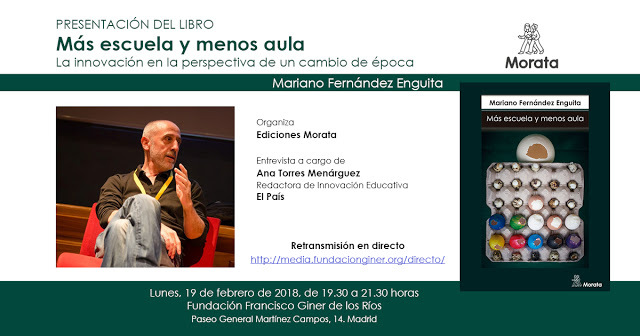 The event was held at the headquarters of the Fundación Francisco Giner de los Rios [Free Institution of Education], a context is emblematic for education and innovation in Spain. Can be followed live via streaming in the urls http://media.fundacionginer.org/directo/, as well as participate in him by this same route, by the session of questions and answers that will be opened on the fly (Q&A on Google Slides) or by Twitter with the account of the author @enguita and/or with the hashtag #MásEscuelayMenosAula. A brief progress of the book can be seen in this video of five minutes on YouTube, and a graphic appendix with over three hundred illustrations of the past, the present and the unlikely future of the classroom in Issuu. We say that we are going to talk about education and we talk about school. It is obvious, however, that there are a lot of education without school, as well as that there is a lot of learning without education. Just reflect on to what extent and with what consequences has reduced the content of the school’s teaching and his organization in the classroom. The scholé classical Greek was a training-free, very far from what then would be the palmeta of the master medieval or the classroom of the industrial era. The classroom embodies everything that in its day was the school of modernity and is today a heavy burden of the nineteenth century: the categorization of bureaucratic of the students, the objectives and processes of one size fits all, the boredom of some and the frustration of others, the routines that kill the creativity, the loneliness and helplessness of the teacher, the last stronghold antitecnológico. Far from re-proclaim the death of the school, the author argues that the problem is not this, irreplaceable in our time, both for care and for the education of the childhood and the adolescence, but its reduction to a set of classrooms stacked. That’s why the best and most powerful innovative initiatives that break with the axula methodological and even physically replaced by progress towards the hiperaula, characterized by wider spaces, flexible and free; the reorganization and porosity of the times; for the continuity between physical reality and virtual, between what is proximal and what is distal, between the school and the community; by the alternation of working in group, team and individual; by the combination of disciplines in projects for the integration of permanent microequipos teachers in it. 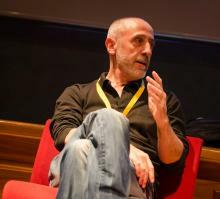 Mariano Fernández Enguita is professor of sociology at the Complutense University and academic responsible of his Doctorate of Education. Before it was in Salamanca, where he headed the Department of Sociology and the Center for Social Analysis, as well as the Centro Cultural Hispano-Japanese. The author of twenty books and three hundred articles and chapters. Recent books: education at the crossroads (2016, Santillana) Of the clip to the click (2017, Ariel). More blog.enguita.info, www.enguita.info, about.I/enguita and @enguita.